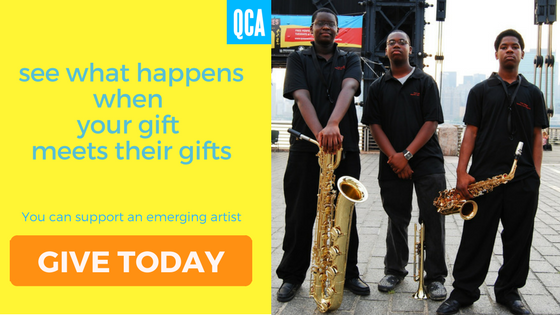 helping QCA make it possible for artists to make life extraordinary for all of us. Your donation is an investment in Queens. It's easy. Make a tax-deductible donation to QCA with your credit card. QCA also welcomes memorial, tribute, and matching gifts. Here's an easy way to give back to QCA! When you shop on Amazon, they will donate 0.5% of the price of your eligible AmazonSmile purchases to QCA. Proceeds will go toward making QCA's programs better for you!